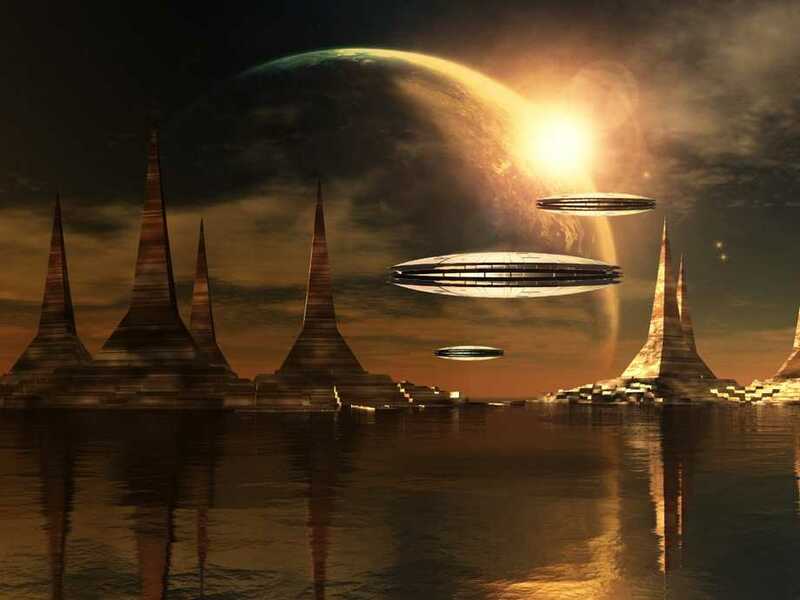 Science fiction and fantasy books are often just the authors’ predictions about what they think the world will be like in 10, 20, or hundreds of years. But sometimes these books eerily hit the nail on the head, even going into great detail about inventions, technologies, and societal norms which, back then, no one had ever conceived of. We did a round-up of 10 books, listed by year published, that correctly predicted the future. Many critics agree that Verne’s dystopian “Paris in the Twentieth Century” wasn’t his greatest work, but what makes it most interesting are the inventions he predicted almost 100 years before they were actually made. They include the submarine and the technology needed to land on the moon. These inventions were seen in some of Verne’s other books, but “Paris” was written even before these; it just wasn’t published — or even heard of — until Verne’s great-grandson discovered the manuscript in 1989 in a supposedly empty safe. Sound familiar? You may be thinking of Elon Musk’s recently proposed Hyperloop, his idea of a way to get from one part of California to another very quickly. Scientists didn’t first start playing with antidepressants until the 1950s, but Huxley seemed to prophesize its soon-to-be widespread use even back in the ’30s. It may sound far-fetched, but with the NSA’s controversial involvement in wiretapping, data-mining, and collecting domestic emails with no ties to terrorism, Orwell may not have been all that far off. It was done in such accurate detail that the eventual inventor of the device, Charles Hall, originally had his patent denied in 1968 on the grounds that Heinlein owned the intellectual property. Heinlein may have also foreseen the Mars One mission to send people on a one-way ticket to live on Mars, as his book’s main character was born and raised on the red planet. Apple may have taken a lesson from Clarke’s masterpiece. Though the “butcher vegetable” isn’t quite the same as the recently-developed test tube burger, Simak’s anticipation of artificially made meat, and its ensuing debate, is exactly what’s going on today. Gibson actually coined the term cyberspace in a previous work, “Burning Chrome,” and popularized it with “Neuromancer.” It then became interchangeable with the World Wide Web once it was invented in 1993. What it predicted: The better question, when it comes to Brunner’s 1969 magnum opus, is what didn’t it predict? It may be the most accurate depiction of the future ever contained in a book. Nate Silver himself couldn’t have done better, says literary news site The Millions. “Stand on Zanzibar” is set in the year 2010 in the U.S., under the administration of President Obomi. Written in bits and fragments of the characters’ lives in real time — public service announcements, obituaries, advertisements—amidst a chaotic and dystopian society: terrorist threats and attacks are an everyday occurrence, and violence in schools is old news. Detroit, in his world, is akin to a ghost town. But Brunner also makes a lot of positive predictions about life in the 21st century. Hookup culture and gay lifestyles are widely accepted in the 2010 of his novel, and people have satellite TV, TiVo-type viewing, and electric cars. Brunner got a lot of things right, both the good and the bad.